James Cameron Anderson was born on 22 August 1852 in Alabama or possibly 1854. Thomas Colley Thomas and Virginia Elizabeth McCullers Speight appeared in the US federal census of 1 June 1860 in Clinton, Greene County, Alabama. Other members of the household included James Cameron Anderson, Ashley Wood Spaight Anderson, M. Georgia V. Thomas, Matilda M. Wood, James George and Alexander Ellerbe English. Thomas Colley Thomas and Virginia Elizabeth McCullers Speight appeared in the US federal census of 1 June 1870 in Mantua, Greene County, Alabama. Other members of the household included James Cameron Anderson, M. Georgia V. Thomas and John Crowder Thomas. He married Idabel Nesmith, daughter of William S. Nesmith and Harriet C. Anderson, circa 1875, first cousins; James' father was a brother of Belle's mother. James Cameron Anderson and Idabel Nesmith appeared in the US federal census of 1 June 1880 in Greensborough, Eutaw, Greene County, Alabama. Other members of the household included William Spaight Anderson. He was a store clerk, according to the 1880 census. The following appeared on 13 August 1898 in The [Birmingham] Age-Herald: J. Cam Anderson of Eutaw is spending a few days in the City. James Cameron Anderson and Idabel Nesmith appeared in the US federal census of 1 June 1900 in Cardiff, Jefferson County, Alabama. He was a drygoods salesman, according to the 1900 census. 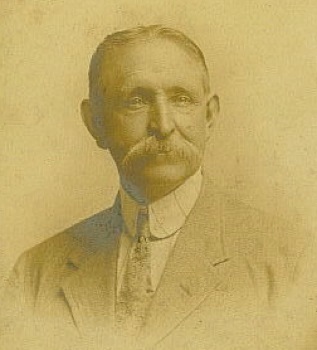 James Cameron Anderson became a widower at the between 1900 and 1908 death of his wife Idabel Nesmith. He married Exa Lee Sims, daughter of Levi C. Sims and Mary E. (? ), circa 1908 in Dolomite, Jefferson County, Alabama. James Cameron Anderson and Exa Lee Sims appeared in the US federal census of 15 April 1910 in Jefferson County, Alabama. Other members of the household included Jesse Cameron Anderson, Mary E. (?) and William B. Sims. He was postmaster, according to the 1910 census. On 15 June 1911, Jesse's second birthday, a family montage portrait was made. He was a dairy farmer, according to the 1920 census. James Cameron Anderson and Exa Lee Sims appeared in the US federal census of 1 April 1930 in Birmingham, Jefferson County, Alabama, at 2201 23rd Street. Other members of the household included Jesse Cameron Anderson, Chalmers Wood Anderson and Ellerbe Sims Anderson. James Cameron Anderson died on 16 November 1932 at age 80 in Birmingham, Jefferson County, Alabama. His wife Exa Lee Sims became a widow at his death.